"I’m excited that we are finally able to announce the release date of Soul Sacrifice. I have put all my passion and soul into the game’s concept and my talented team has made an incredible effort to create the best game it could ever be. I’m confident that we’ve created an extremely engaging game that you will enjoy playing. The game has become nothing like any other game with an original and deep world settings which could only be possible in a dark fantasy environment. 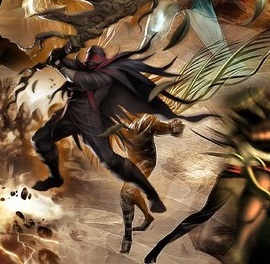 I’m looking forward to you being able to experience the unique adventure of real heroism in Soul Sacrifice. 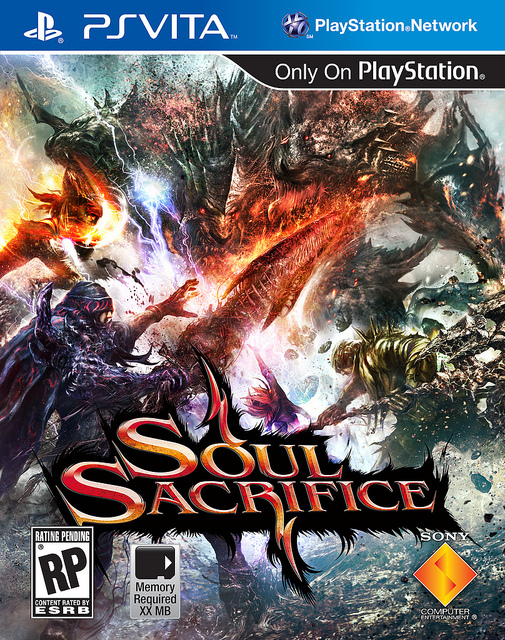 Immerse yourself in the world of Soul Sacrifice and have fun playing it!" Keiji Inafune, Conceptor and CEO – comcept, Inc. Fans who pre-order Soul Sacrifice will receive an exclusive pack of in-game content — it will not be sold anywhere else! Reserve Soul Sacrifice and, in addition to the in-game costume & item bundle, you’ll also receive the Japanese voice-over pack for free. This pack will be sold separately, but the only way to get it right at launch for no added cost is to pre-order! Sounds like a confident release for the game. Will you be waiting for it? Let us know in the comment section below!